"Milk girls do their makeup quick." That's what I was told is the tagline as well as the basis for creative media company Milk and its newest venture: the beauty industry—which makes sense for the contemporary cultural hub that exudes cool. Upon entering Milk Studios in NYC for its Milk Makeup launch dinner, I stood awestruck at the presentation before me. A mirrored table was set for over 90 people with neon lights, an edible tablescape, and models getting a pep talk on how to serve each course to the guests before the night commenced. Following the dinner, a huge "rager" (as it was listed on the invite) ensued with special guests Salt n' Pepa. This was a launch party for the books. The next day, I received a care package from Milk with Advil, Emergen-C, and Gummi Bears, along with a note "apologizing for the hangover"—all welcomed recovery aids—but what I was most thrilled to find in the package was Milk's new Cooling Water Stick. Fortified with caffeine and sea water, this stick cools on contact while it de-puffs and hydrates: the perfect hangover remedy for sure, but more notably, it's perfect for prepping before applying makeup. I noticed that my foundation had more of a glow to it and stayed that way throughout the entire day, even despite my naturally oily complexion. I also enjoyed how soothing it felt going on, and the fact that I only needed a little bit to coat my entire face. With its twist-up, one-handed application, I'm curious to try the rest of the line's brush- and sponge-free products. 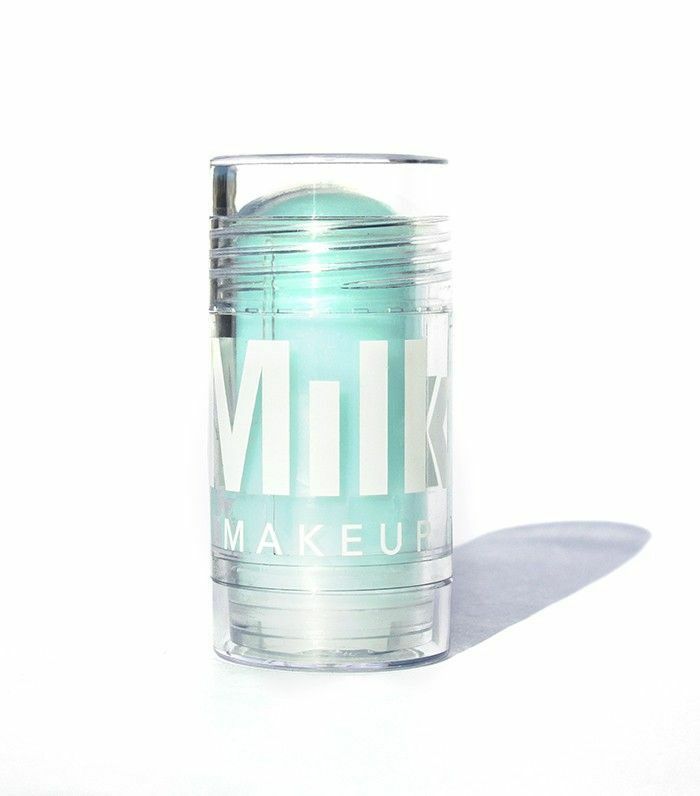 Will you be trying Milk's new line of products? Tell us below!